I am a Board Certified Specialist in NC Workers' Compensation Law. 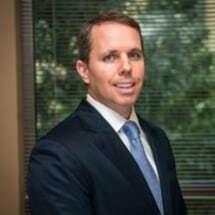 A Board Certified Specialist has been tested and vetted by the NC State Bar in order to assure the public that the lawyer has a high level of competence in the specialty area of law. An injured employee needs a competent attorney on a workers' compensation case. An injured worker can be assured that a Certified Specialist in Workers' Compensation Law is indeed competent to handle the case properly. Unlike some lawyers, I do not dabble in workers' comp law; it is the main area in which I work.